Tuber is an inflatable installation, first made for 'The Insider' boutique festival near Aviemore, Scotland. 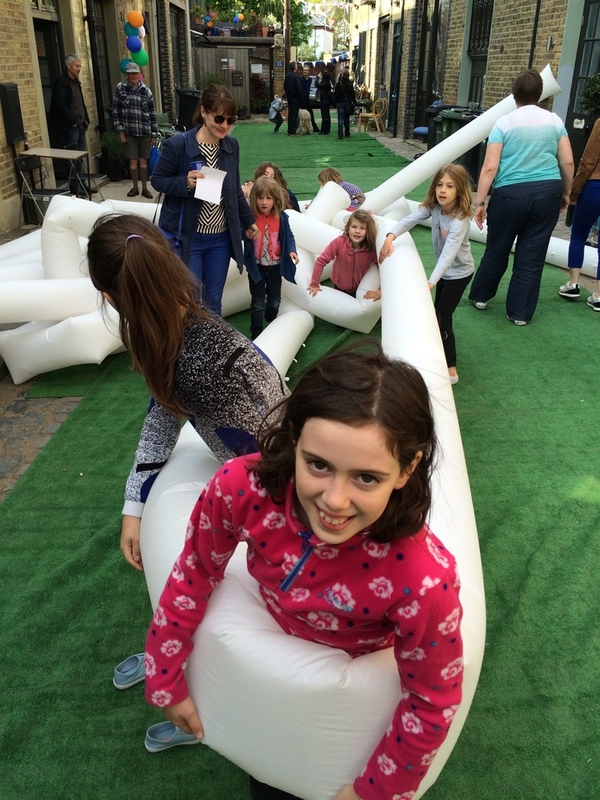 It was later installed at Canvas and Cream Gallery in London, this time as a fully immersive experience, and has appeared again at community events connected with the Studio, where it has proved extremely popular with children. The installation comprises a set of 30m long inflatable tubes, which can be adapted to their environments by interweaving and connecting to themselves or other objects to create compound structures, or to fill an existing space.